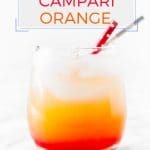 Sparkling Campari Orange is a festive and refreshing cocktail that is extremely easy to mix. It tastes delicious and looks gorgeous. Perfect for any party! This post contains affiliate links which means if you make a purchase after clicking one of those links, I will receive a small commission. I am not much of a drinker. I am short and small and a “cheap drunk”. More than two drinks and I start dancing on tables. My drink of choice is beer. I love red wine too, but beer is still my favourite. Cocktails and I aren’t friends. I actually love various cocktails, but since they often don’t taste very strong I tend to overindulge and then I start dancing on tables again. A little bit over a year ago A. and I went to an all-inclusive resort in Cuba. As usual we enjoyed cold and refreshing beers most of the time. And as usual I tried a few cocktails. In all my travels to all inclusive resorts I keep trying various cocktails and I am always disappointed. I don’t like the cloying sweetness or the harsh liquor. However, that time reading through the menu I saw Campari-Orange listed. I vaguely remembered that Campari wasn’t sweet and since I like more bitter and sour flavours in my drinks I decided to try it. Oh, how I loved that drink – slightly bitter, sweet and cold, it was perfect in the humid Cuban heat. The next day I tried ordering it again and it wasn’t the same – too much campari, too strong for my taste. So, I asked the bartender to add a little bit of sparkling water to dilute the alcohol. It worked! And it also made the drink better. I kept ordering it throughout our stay. I got home and bought a bottle of Campari. I knew I’d be making it again and again! After I finally came home with the baby a few months ago, this Sparkling Campari Orange was the first drink I had since I got pregnant. 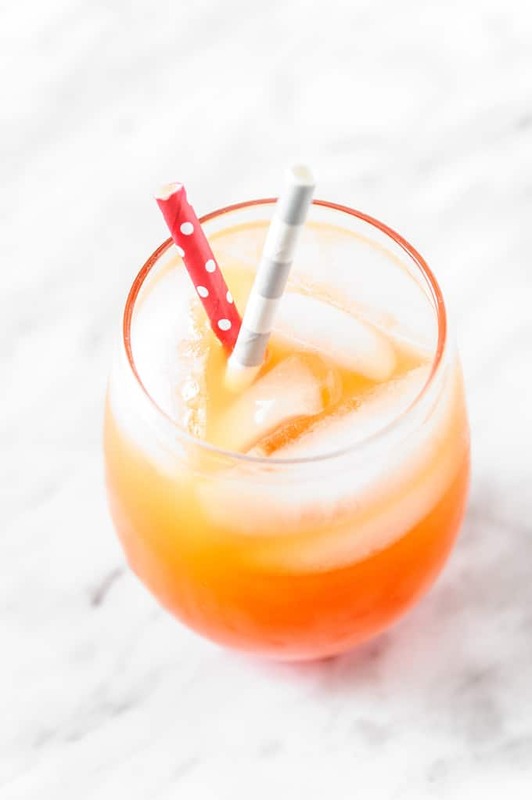 This Sparkling Campari Orange cocktail is extremely easy to mix. You don’t need any special equipment! Add an ounce of sparkling water. Watch all the colours mix and swirl and sparkle! Sparkling Campari Orange drink looks gorgeous and festive with reds and oranges mixed together and bubbles fizzing and popping on top! The flavour is bright and refreshing and reminds me of grapefruit! A little bit bitter from Campari, sweet from orange juice and bubbly from the sparkling water. Complex and refreshing! I use SodaStream to make sparkling water, it’s on my Holiday Gift Guide 2016 for Foodies and on my #Foodie Holiday 2017 Gift Guide as one of my most used appliances in the kitchen. 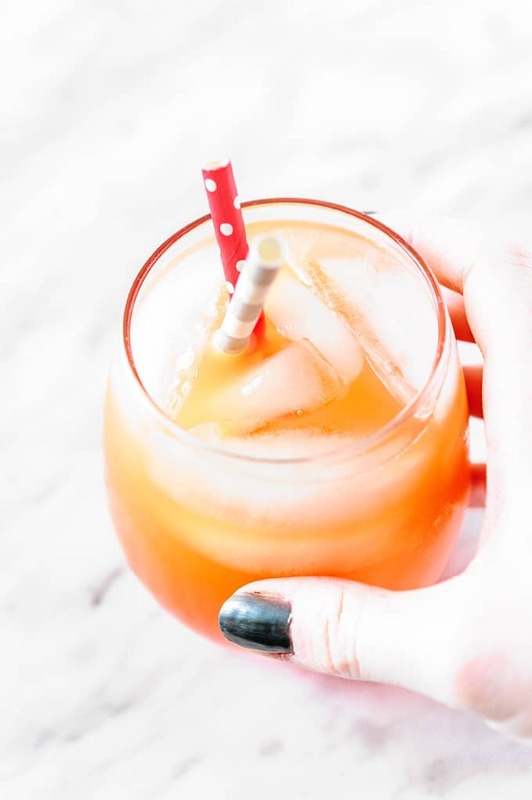 Don’t forget to buy these adorable biodegradable paper straws that will make any cocktail special. 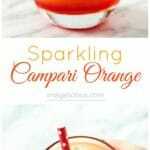 View the video to see how easy it is to make Sparkling Campari Orange cocktail. Pour campari, pour orange juice, pour sparkling water on top. To be honest, I don't usually measure the ingredients for this drink. 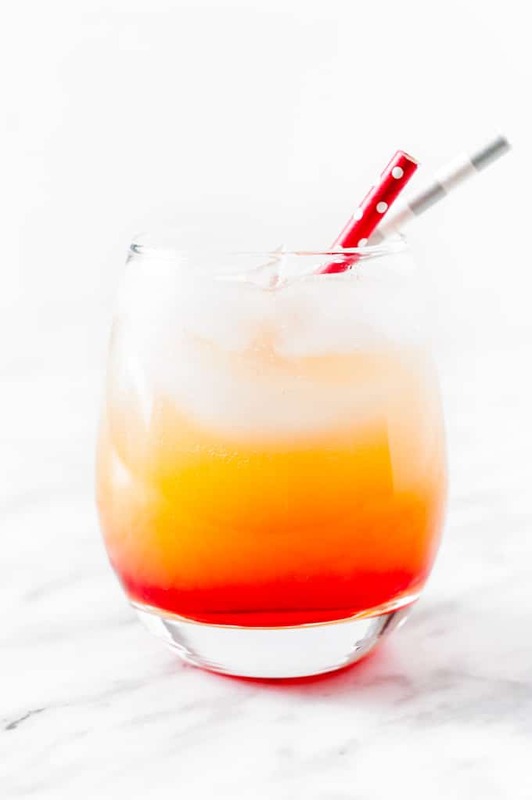 The idea is that for one part of campari you add two parts of orange juice and one part (or more if you'd like) sparkling water. You can also add more campari if you like a stronger drink. 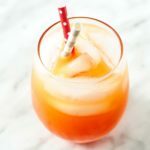 Campari Orange is my favorite cocktail in Summer, so refreshing and delicious! Loved the clip too! Sounds delicious! And I love the video! This looks so pretty. Totally love the video. Perfect for those special holiday brunches. Happy Holidays!! Delicious! I love an orange Campari – made the first of the holidays last night, actually! Cheers and happy holidays.